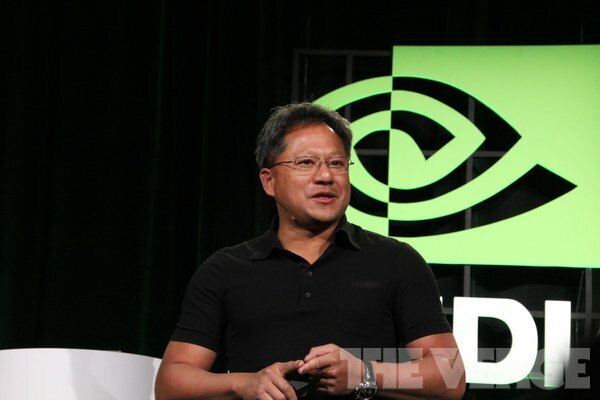 In what was arguably the highlight so far of this year's CES, Nvidia released information on a tablet today that has the potential to completely disrupt the Android market. With an asking price of just $250, this ASUS ME370T Tegra 3 tablet is just slightly more than the Kindle Fire but with far more processing power. 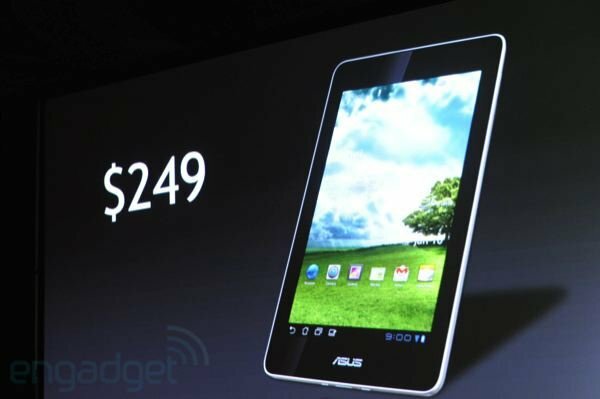 Little else is known about the tablet, which you can see above. It seems to only come in a Wi-Fi model, according to Engadget. It'll also come with an 8MP camera. We'll definitely be bringing you more information when it becomes available. 01:45AM PRISM Display Technology separates color and backlight intensity to save battery life while preserving fidelity. 01:45AM And it runs ICS! 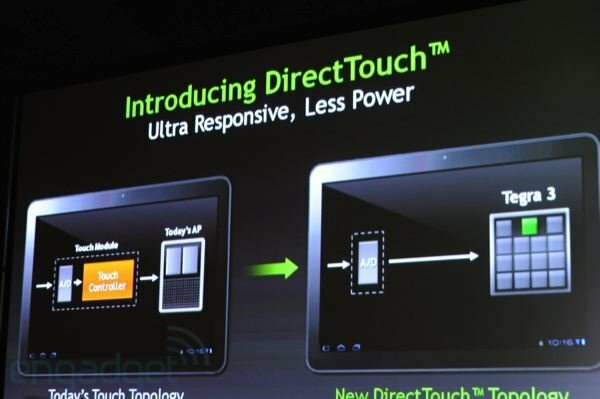 01:45AM They're unveiling a 7" tablet with a Tegra 3 processor that costs just $249! 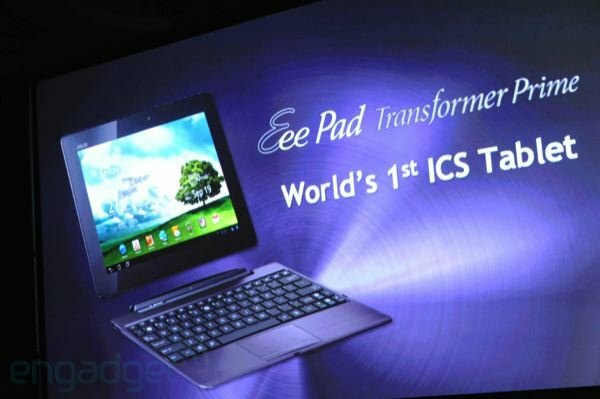 01:42AM We have here a Tegra 3, Android 4.0 Tablet, Quad Core - What is the thing probably cost? 01:40AM Now they're talking about bringing the tablet's price points down to that of Nook or Fire, which have both obviously been huge distruptions. 01:36AM Tegra 3 is getting Ice Cream Sandwich today. 01:25AM Now we're watching Shadow Gun being played by multiple people. It's a videogame party and we're all invited! 01:24AM Watch out iPad! 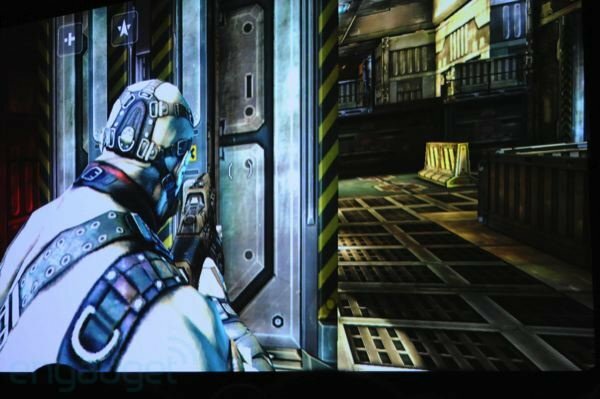 Nvidia is now demoing video games. They run super fast and fluid! 01:18AM Snapseed is apparently really a cool app for those who enjoy working with images. 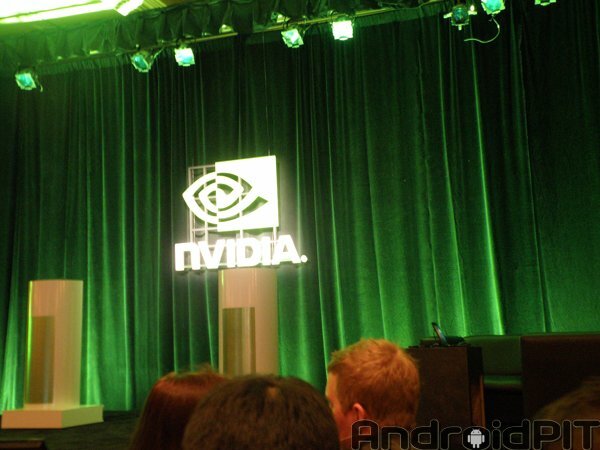 Nvidia wants to show how fast it renders Tegra 3 here. 01:15AM Now Huang is showing us what the ASUS Prime can do. It's running at 60fps. Impressive! 01:08AM Cars are "the new consumer electronics device"
01:07AM Tablets are the fastest growing electronic device "ever"
00:53 AM And so we sit. And that's good. We don't have VIP seats but our view ain't bad. The only downer: we're missing Sony's press event. The event should start sometime in the next seven minutes! 00:52 AM The music here is loud! And bad!